It was not long ago that we read about the Swedish Language Council and Google get into a tight spot over the term ‘ ungoogleable’. Legally accepted or not, nobody had to explain the meaning of that term to me – it was crystal clear, yes sir! With two-thirds of all the world’s online searches routed through their search engine, Google is most search engine marketers’ obvious first choice when it comes to reaching their prospects. Though the Yahoo-Bing ad network has shown slow and consistent growth in over the last years, by far, nobody competes with Google head-on in its world-wide reach. I have managed PPC campaigns for many F-100 companies and have worked extensively on both Google AdWords and Bing Ads. You would find a hundred Bing-AdWords articles online, and it is easy to see why AdWords is the preferred platform to work with – remarketing-enabled, 40 languages as opposed Bing’s 11, the enormous user base – to name a few highlights. With Bing Ads, lower competition, lesser number of impressions and a lower CPC has almost always been what I had to work with. That said, there have been times when I wished Google AdWords learnt some things from Bing (or at least adapted some features and ran it better). Especially while working with brands with long names, I’ve craved for Bing’s 40-character ad title, as compared to AdWords’ 25 characters. Yahoo Bing Ads have multiple reports option with one click, which allows me to drill down and analyze all the performance matrices. Check out their Quality Score Analysis Report once if doubt my judgment on this. And if you have ever felt helpless with AdWords’ never-explained Below/ Above Average ratings for contributing factors, you should definitely check out iQuanti’s Quality Score Model (QSM) to help you statistically quantify the impact of each contributing factor on your Quality Scores. 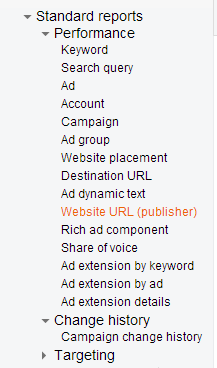 In Yahoo Bing Ads, I can set daily as well as monthly budget. Monthly budget helps me distribute the budget over the month and optimizing my ad frequency accordingly. Google AdWords only offers an option of setting a daily budget. Google allows you to publish your ads on Google only or either Google and search partners, but never allows you the option of publishing on Search partners only. 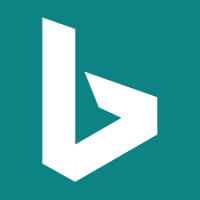 Whereas, Yahoo Bing ads provide you all the 3 options – Bing Yahoo and Search partners, Bing and yahoo only and Search partners only, which means I can have a different bidding strategy for search partners. I hope someone at Google is listening! Share with me your observations about the two PPC platforms. Are there any other features that you would suggest I add to this list?